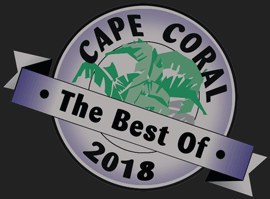 Licensed Massage Therapists at Dr. Mel's Cape Coral Wellness Spa! Heather is a true Floridian, born and raised! She has many years of massage therapy experience, having been licensed since 1994. Additionally, Heather attended the University of Arizona for Exercise and Sports Science. She specializes in sports massage, neuromuscular therapy, prenatal massage, stretching, and trigger point work. Heather is passionate about tapping into the connection between the mind and body, and using this to facilitate the healing process. Outside of work, Heather enjoys traveling and experiencing new cultures. She also has her Captain’s License and loves to go boating and be on the water. Heather also loves to skydive and hike in her free time! Melanie is originally from Minnesota and was in the military for 14 years. Melanie graduated from Heritage Institute and has been in the massage therapy field since 2005. She also attended and graduated from the Surgical Technology program at Southwest Florida College. Melanie specializes in prenatal massage, deep tissue, and reflexology. In her free time, she loves spending time with her husband, her grown son, and her three pitbulls. Her hobbies include surfing, swimming, fishing, camping, fostering pitbulls, and volunteering at our local Animal Shelters. Ines is a native of Santiago de Cuba and has been a massage therapist since 2005. Ines specializes in energy work, neuromuscular and relaxation massage, and is able to perform cupping techniques. She is passionate about making people feel better and relieving chronic pain. In her free time, Ines loves to spend time with her son and husband and loves to garden (especially orchids!). Fun fact: before becoming a massage therapist, Ines was a dolphin trainer in Cuba! 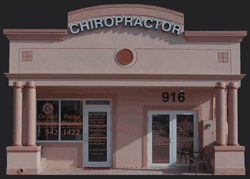 Sally is a 1994 graduate of Florida Academy of Massage and has been a part of Dr. Youngs’ office for ten years now. 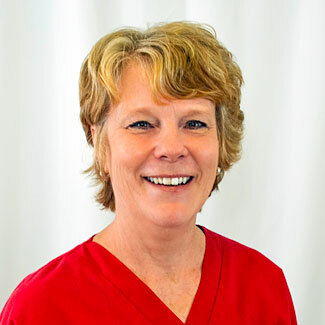 Sally specializes in trigger point therapy, neuromuscular therapy, prenatal massage, geriatrics, headache relief, and sports massage. Yami hails from Havana, Cuba and moved to the US in 1999. After becoming a massage therapist in 2009, Yami discovered a love for neuromuscular massage, sports massage, and working with sciatica issues. Outside of work, Yami enjoys spending time with husband and two children. She loves to visit the beach, fish and spend time outdoors! A fun fact about Paola is that she loves to learn new languages! Besides being fluent in both English and Spanish; she has learned Korean, Italian, American Sign Language and is currently studying Chinese. Paola intends to learn as many languages as possible in order to expand the range of people she is able to help! Deborah has been an LMT since 1999. She grew up in North Florida, then spent many years in Atlanta, GA, where she went to massage school. She has worked in several spas and chiropractic offices. She loves learning new modalities, is very interested in alternative healthcare, and has taken many classes over the years. Deborah is certified in Neuromuscular Therapy, Deep Tissue massage, Reflexology, Prenatal, and Aromatherapy. She has also studied Herbal Medicine and Energy Work. Deborah was very lucky to find Dr. Mel’s three years ago! She practices massage, is the massage coordinator for the office, and does chair massage at Dr. Mel’s booth at the weekly Farmer’s Market. When not at work, Deborah likes to cook, garden, and spoil her canine companions. Danyelle is a 2013 graduate of Massage Therapy from Hertiage Institute, where she additionally studied Physical Therapy in 2015. Danyelle’s specialties include trigger point therapy, Swedish massage, sports massage, and deep tissue massage. Lisset’s experience with the massage profession is well established. She has trained in massage therapy for medicinal benefits. Lisset has practiced on the soft tissue and muscles of the body to relax overworked and tired bodies, treat pain that results from any number of ailments and to support overall good health. Lisset resides in Cape Coral, FL with her husband and their four children. Elizabeth was born in Cracow, Poland to an American mother and Polish father. She immigrated to the United States in 1986 and decided to study massage therapy. Liz graduated from Sarasota School of Massage and landed her dream job in a chiropractic/acupuncture office. After the office closed down, Liz found Dr. Mel’s office and has made it her home for 12 years now! Her training includes Neuromuscular Therapy, Myofascial Release, Craniosacral Therapy, and Lymphatic Drainage. Liz is very interested in posture, nutrition, and natural healing. She lives in Cape Coral with her husband. They have two grown children.